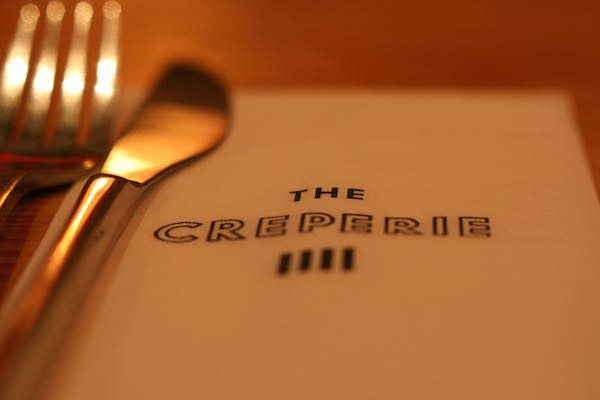 The Creperie in Brighton is one of the most exciting additions to Brighton for 2014 and brings us iconic French cuisine complimented by the best in local British produce. 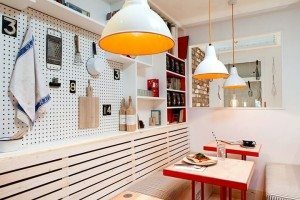 A chic alternative to the traditional seafront fish ‘n’ chips and ice cream; The Creperie brings a touch of continental je ne sais quoi to Brighton beach along with great value. 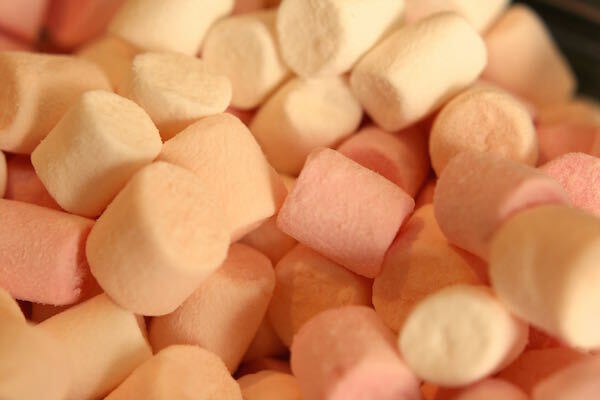 Sweet or Savoury – Creperie Brighton? with a very colourful contemporary design. 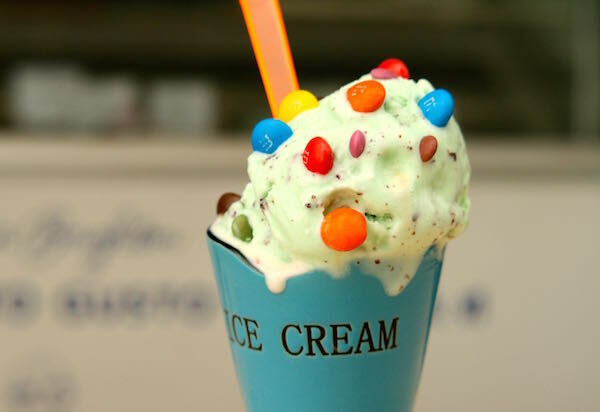 The French and British influenced menu, created by Karen Samuel (previously from “Food For Friends”), delivers award winning ice cream to traditional french crepes and plays on the simplicity of a continental French style with the playfulness of the British seaside. 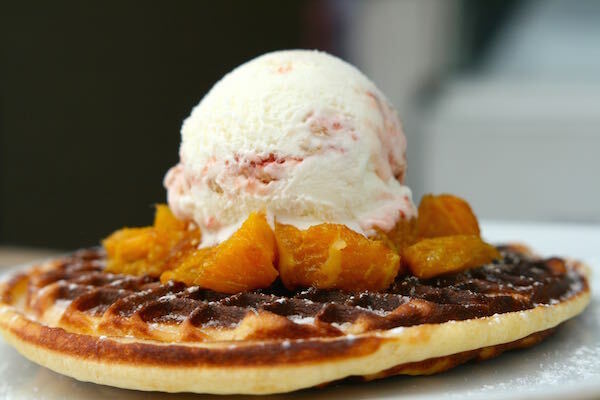 Karen and her team serve a selection of delicious sweet crepes and waffles (from £2.95) with a selection of fillings to suit every taste from continental favourite sugar and lemon to peanut butter and strawberry jam. 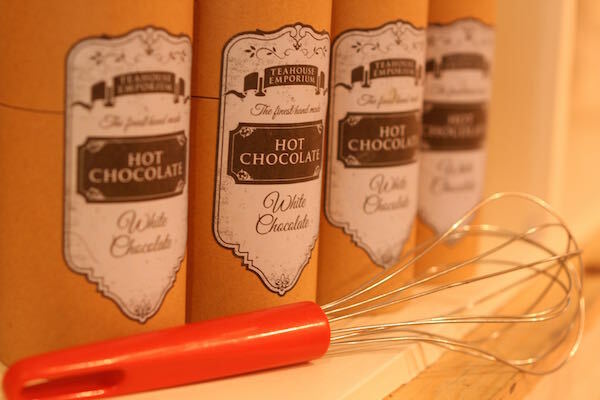 Customers are encouraged to create their own personal crepe with a filling of their choice. Traditional savoury galettes and hot wraps (from £3.95) are available both to eat in and take away, with a selection of fillings from the ever popular ham and cheese to Sri Lankan curry. The Creperie’s unique and exciting menu has something to offer everyone and can be enjoyed as an eat in or takeaway. There is seating for 36 on the lower floor and eight on the ground floor area, all with complimentary WIFI access. Free refills available on soft drinks (and tea for those colder days). 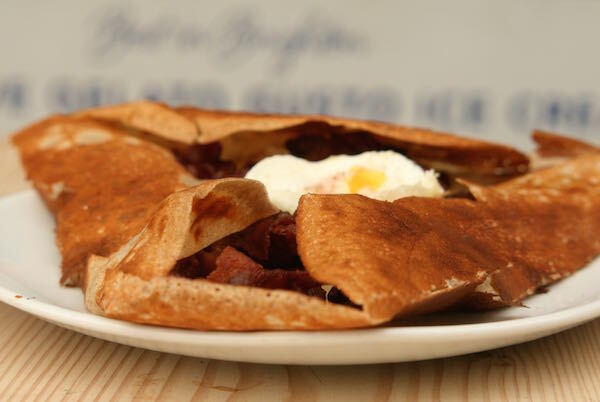 Representing great value, the Breakfast Club option gives you their egg & bacon savoury galette with an orange juice and a small batch coffee for just £6.50 – A delicious start to the day and a great bacon and egg alternative to a traditional British breakfast. 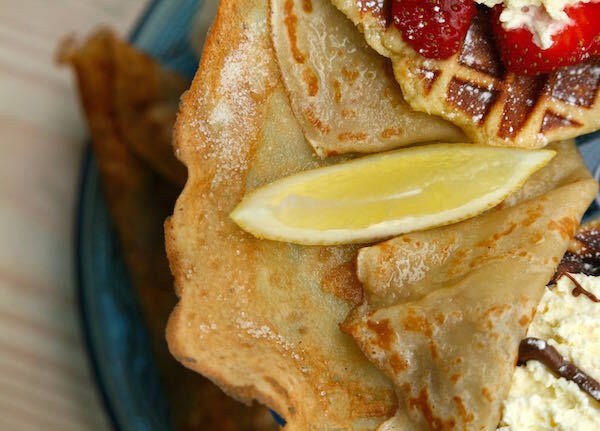 Crepe, waffles and croissant combinations include the Continental, The Creperie Classic, the Breakfast Crepe or the American – which includes homemade muffins. 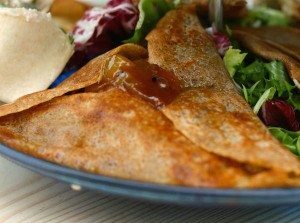 galette or hot wrap (savoury), and crepe or waffle (sweet). Did you know that you can hire The Creperie for children’s events, business meetings, private dining and team building events. The Creperie will also deliver to nearby offices in Brighton. 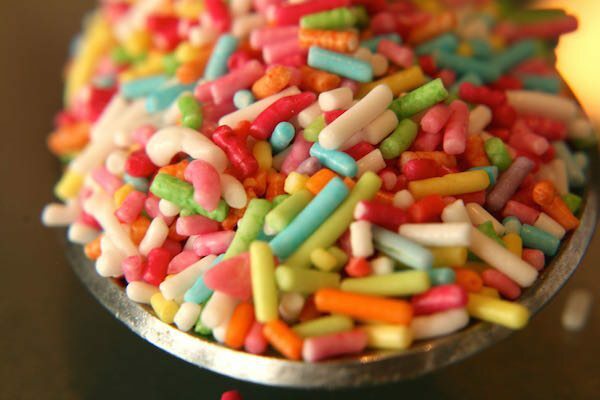 Monday - Closed, Tuesday - Thursday 12pm til 6pm, Friday 12pm til 10pm, Saturday 10am til 10pm, Sunday 10am til 6pm.